If there is one innovation in this 21st century that can redefine the way human beings live, then it has to be Internet of Things, commonly abbreviated as IoT. Off late, things that form the core of IoT is available inexpensively and thereby have contributed to the success of IoT. The sensors, networking chips, and other sensing devices may operate with the help of biometric, biological, environmental, visual, or audible technology. The core aim of this technology is to connect various things like house lights, wearable devices like smartwatches, and other connected home appliances like a coffee machine and refrigerator to work well with the commands. For example, Electrolux’s CombiSteam Oven has a mobile app that can turn the oven on, modify its temperature and moisture, while users, on the other hand, can watch their food getting baked from their smartphone with the help of an interior-mounted camera. The skeleton of IoT rests on the interactive ‘things’ that are connected to transmit the data via a network. Much of the IoT is dependent on the physical characteristics of the transmitted data that includes moisture level, temperature, light levels, velocity, along with the presence of complex data that goes down as maintenance requirements, images, and sounds. Regarding the functionality of IoT, there is a dual-faced transmission that requires two essential elements. The ‘thing’, an object with which a user interacts in a physical manner, and other, the application that performs an action on the back end to generate user-desired results out of interactivity. A low-power processor with an embedded operating system communicates (wirelessly) for the use of one or more communication protocols. In the world of IoT, the role of mobile applications cannot be considered futile. Mobile app developers across the globe are equipped to scale up the IoT usability with mobile app development. There are a vast number of possibilities to expand the mobility of IoT. Imagine a scenario where users can access their distant things and belongings with a mobile app. Mobile apps not only bring mobility, but it also expands the scope of functionality. Smart things have sensors that have the tendency to connect with mobile apps via Bluetooth of internet connection. Most of the household things are linked via Bluetooth with other smart devices with its application. For example, if you want your house lights to be switched on before you reach home, you can simply make changes in the app and the same will be done before you arrive home. There are mobile applications that work for manipulating the power settings from a remote location. Bayit lighting is one such application that gives operational mobility. IoT is all about process automation through integrated networking. Multi-faceted process automation is possible with the mobile applications for IoT. Because of the mobility factor, mobile apps can add significant value to smart objects. Moreover, these apps and ‘things’ build up the infrastructure for the smart city. Plenty of initiatives for developing a smart city are up and rolling at various places. Smart city solutions are dynamic enough to address multitudes of human life interactions that happens on a day to day basis. 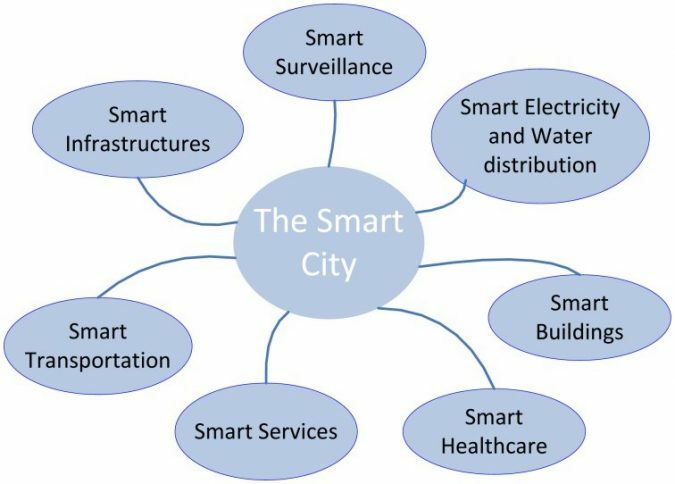 The diagram below indicate areas where IoT can contribute to the development of smart cities. A. Open Data Initiatives like the New York City’s BigApps competition produce a lot of useful open-city apps aimed at improving cities and thereby keeping its citizens informed. Useful information like the quality of air in the atmosphere, scores about restaurant sanitation, and impending legislation are made readily available for all the citizens. B. Parking apps can be integrated on driver’s mobile to show up the available parking slots in the city. This in return saves commuter’s time, fuel, and money. While at the same time it eases up the traffic flow to enable smart transportation within the city. C. For the smart Infrastructure, there is a city guide app along with smart tourism. Such smart apps are aimed towards sharing relevant information about parks, museums, monuments, offices, bus stops, taxi stands, gardens, and other public utility information. All these along with the real-time traffic data. For example, tourist users can turn on their smart tourism app to stay informed about public transport timings, and also it informs tourist about any particular event in the city. One such app, Smart Tourism Taiwan, offers a comprehensive virtual guide for the newbies in Taiwan to explore the country in a best possible way. Keeping all the valuable information within the realms of user’s fingertips. There are already plenty of mobile apps for the cities of Baltimore, Charlotte, Ottawa and New Orleans, that aids its citizens and tourists in improving their city roaming experience. Also, there is built-in-app QR code reader making it easy for the cities to deploy the QR codes over their print campaigns and contests all around the town. 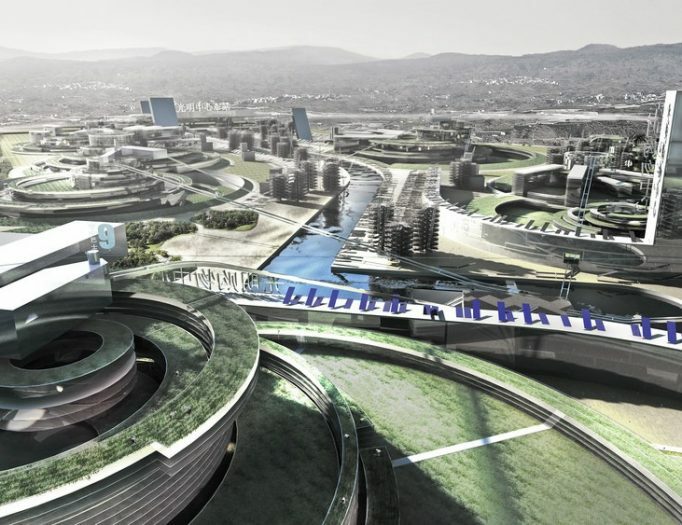 a.The individual citizens using smart city applications for their personal use. c.Business enterprises that utilize mobile applications for their business with a guided interaction for business activities. IoT proliferates further with other connected devices across several industries to make up a holistic smart city solution for citizens and businesses alike. Smart Parking solution by Libelium is launched for the Smart Cities, allowing inhabitants to discover the parking space through a mobile app along with maps. There is a new surface parking device enabled with LoRaWAN and Sigfox. It features relatively small-sized, highly accurate, and faster time detection technology. A mobile app user can quickly avail the live status of parking with much lower installation costs. While there is a lot of scope in store for mobile app developers to drive IoT solutions effortlessly, a lot of dynamism is required to maintain the big data. There are quite a few technology challenges to optimize the scope of IoT as a cloud-based IoT services can be deployed over a dynamic infrastructure like smart cities, municipalities, and private enterprises. Moreover, a cloud-based IoT services can also be deployed for efficient mobile app development dedicated solely to IoT, split over a different set of technology like mobile, wireless, and Internet. The primary task after the success of initial implementation of IoT lies in designing and deploying horizontal IoT frameworks that support on-demand apps with those frameworks. Also, there is a dearth of interactive cloud infrastructure for sharing data and management operations. The same needs to be hurdled before forecasting further development in the fields of IoT-enabled smart cities. If you are looking to inculcate IoT in your day-to-day lives, here are few of the devices that might just be ideal, to begin with. Smart lighting by Philips Hue gives users a complete control over lighting adjustments. Right from managing the power buttons to controlling colors, brightness, and blinks from your smartphone app itself. Smart Identity Management tools such as security keys for houses. Goji Smart Lock provides smart security solutions that bypass the need for carrying keys. Users are expected to simply tap on the smartphones to unlock their doors or can out a message upon arrival for the same. Bluesmart Suitcases works the same way for bags making it possible to unlock your suitcase from a mobile app. While these are just a few of the necessary devices and applications that provide a smart solution to users, there are plenty of other innovations as well. Innovations like self-driven smart cars are already in the market. It is expected that by the end of this century majority of human activities will be automated and driven by the robots. It is safe to speak that IoT is the first step in the journey of future millennium. Karan Dave is a magical wordsmith and a creative content expert with one of the top mobile app development companies, Peerbits. Nice post, thanks ;) Greetings from Poland!